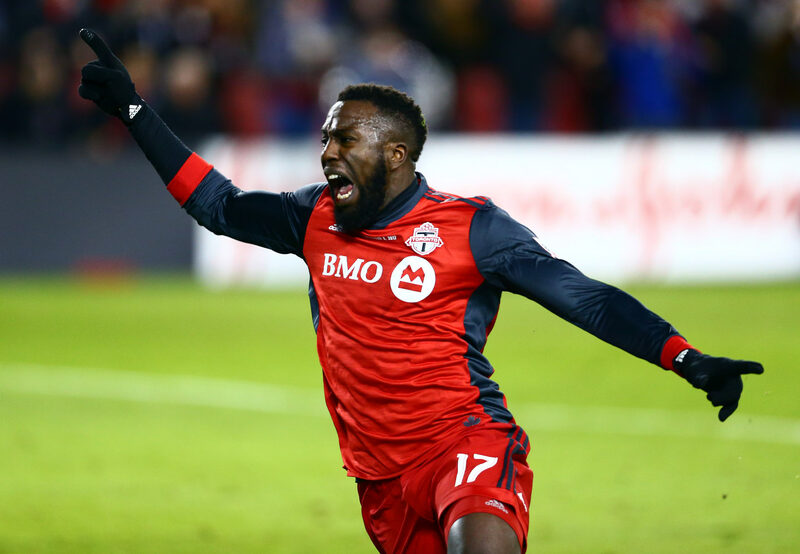 A fun chat with the Toronto FC striker. 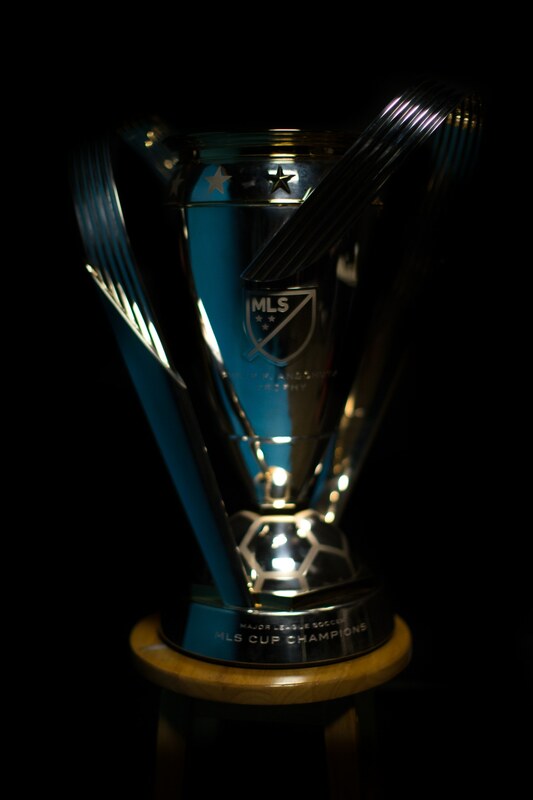 A few days after winning the Major League Soccer championship, beloved Toronto FC striker Jozy Altidore wheeled his shiny new trophy into The FADER's offices. As a proud Torontonian who is all too familiar with my city's disappointing history in the world of professional sports, it felt a little surreal. In a fun, celebratory conversation, we discussed the city's culture, his love of music, and what it's like to watch the news these days. Let's start by talking about your epic victory speech. I don't even remember that much, to be honest. I was enjoying it, in the peak of winning, and so it felt really surreal. It's always surreal to have so many people come out and support. You know how crazy it can be in Toronto, with all the support they have for their sports teams. Toronto fans are known for being super passionate, but also used to disappointment. What was it like coming through with a win finally? It was amazing. It was amazing to see it on their faces. They've lived and died with us on the field on many nights, and I know it's been since that Joe Carter home run [in 1993] that Toronto's had a championship. So to bring that to that city, to see that reaction and how much it meant to them, it makes you want to do it again and again. I've heard you say that Toronto is the greatest city in the world. What's so great about it? I just think it's so unique. I lived in Europe for quite some time and it reminds me a lot of that, but with a North American spin on it. I love how it has the balance of cultures, and how they support their sports teams is something I've never seen. So that makes it extra special for me. I feel that athletes, when they're supposed to go to Canada, often have a little hesitation. I didn't know what to expect. I never saw myself living in Canada, but getting there, it's like, yeah, it has its own swag and its own twist. The city's so urban, so modern. There's culture from all around, such a crazy music wave, so many underground artists that are on their way up. They have everything, and I think the city is just gonna get better and better. Over the past few years, music has been thing that's introduced Toronto to the rest of the world. Who are some of your favorite artists from there? Obviously Drake, always doing his thing. But I like Nav, man. I like his sound, I think he's cool. He's a little bit different, not your average-looking rapper. PARTYNEXTDOOR, too, he's got an audience and people who go crazy for him. How does music fit into your job as a soccer player? It's synonymous, man. Music and athletes in general, every player I know in every sport, wants to be a rapper, wants to try to rap. And then every rapper, they want to play and see what it's like to score the winning goal or something. I think that relationship will always be there. You want to know what it's like on the other side of your world, or in another industry. There's that Drake lyric that's like, "Music and sports are so synonymous 'cause we wanna be them and they wanna be us." Do you have secret music ambitions? Nah, I don't think so. It's not for me. I could freestyle if I'm in a certain state, but that's it. I love music, though. Maybe down the road, I'll work with an artist or invest in an up-and-comer or work with a label. I love music, it brings me a lot of joy. Your family's from Haiti. Do you follow Haitian music? Yeah, Kompa! Kompa's huge, man. Kompa will get you up and get you dancing, especially when I'm with my family. Its rhythm is beautiful and it's a different flow, which I like to hear because sometimes a lot of the stuff I listen starts to sound the same, so it's good to switch it up. What do you listen to when you're in the locker room? Funny enough, our hype up song to games is Meek Mill "Wins & Losses." The one where he's like, "You gotta see the dream / You have to eat the dream / You have to dream the dream." That one. That intro and that song, that's the last song we listen to before we go out. You listened to that song on the day of the finals, too? Yeah, before every game, every single game, that's the song we listen to before we go out. I hear that. Sometimes when I'm having a hard time getting up or getting ready for work, I listen to some Meek Mill, too. There you go! It gives you energy for sure. His intros are always so dope, so it's not a surprise. You've been playing soccer for a long time, but if you had chosen something else, what do you think it would've been? Something nothing to do with sports. Probably electrical engineering. It's kind of left-field, but my dad, he did it in school. He got his associate's degree in it, and he's always talked about it. I was always passionate about seeing how things work and trying to fix things. Do you fix stuff around the house? I do, man. I'm a fixer. I fix stuff around the house. I fix anything, everything. Whatever's messed up, I'm there to plug it back. I'm the handyman for sure. What's the last thing you fixed? I put together my son's toy car, his electric car. That's not easy, all the parents out there know. You know the little ones you be getting? I got him a little G one, a little SUV, so he be riding dirty. Over the decade or so that you've been playing soccer, how have you seen the reception to the sport change, here in America? Oh, it's changing all the time. I think the biggest part of that is social media — young people getting involved in the game is bringing it to a new level. It's being seen by an audience that would've never seen it before. The key to growth is getting the youth, and I think the league has done a good job of identifying that. I think it's gonna continue to grow, as you different artists, whether it be in music or movies, you see people attracted to the game, coming out to support. I think younger people here are starting to realize that soccer players are just as swaggy as other athletes. Exactly! Come on, man. I'm dripping in swag. It's beautiful. I grew up in Côte d'Ivoire, in a culture where soccer players were always the celebrities that young people idolized. When you were coming up, were there any players in particular that you saw yourself in? I love the Brazilian Ronaldo. He was amazing for me, so talented. Since he's retired, I think we've never seen a player like him. Thierry Henry I always thought was really good. He could do a lot of things well, so he was a really dynamic player. It was mostly those two for me, I thought I emulated them the most in terms of my size and my style. In the note you posted after the World Cup qualifier disappointment, you said, "We need you now more than ever to help grow the game at the grassroots level across the country." What did you mean by that? I feel like inner-city kids are the ones we need to look more and more at. I think those kids are so important. In other parts of the world, those are the kids that go on to be really successful. Not that that's what it takes to be successful, but I think it's an untapped audience. I think it's because a lot of people don't see enough of a way out through soccer, in the way that there is with basketball and football. I think soccer isn't looked as the same kind of come-up. But I think that's going to change. As you see soccer growing in the States and more and more players making a better living through it, I think kids will now say, I can not only travel the world, I can make a living playing this beautiful game that I love. One of the reasons that people from low-income communities have historically found success in basketball is that, unlike tennis or swimming, you don't need as much money to participate in it. In other parts of the world, it's the same thing with soccer, since all you need is a ball and a space. Do you agree that there's a parallel there? Yeah, a bit. But the difference with basketball is that since it's smaller — smaller teams, smaller amount of players, smaller court — you can take care of basketball players more. If you see some kids that you think are going to be good, financially you have more resources. With soccer, you can see 100s of kids who are good, but it's a different level of commitment. So I think there's a ways to go there for the game in our country. A lot of elements go into it, but I think it's on the right track. I don't think any league is growing the way MLS has grown throughout its young existence. Look at its attendance — we average 22,000 people across the board, which is bigger than anything, aside from maybe the NFL. And we have the expansion coming, we're going to 24 teams soon. I think we just have to be patient. Lacrosse is one of the fastest-growing sports in America, and that's in part because parents are making different kinds of decisions for their children. People aren't as excited to put their kids in football as they might've been 15, 20 years ago. Does that seem to you like an area of opportunity as well? Yeah, man. But also soccer is just so unique. Soccer takes you around the world. There's nothing else like that. You know, when people talk about basketball or football — and I'm a fan of all of these sports, I'm a sports fanatic — it just [doesn't compare.] What I've seen through soccer, you can't get anywhere else. You're able to travel the world, you're world-renowned. Those are things that you can get out of other sports, but only if you make it to certain level. Tell me a little bit about what it's like having to deal with boos or hate from fans. It's a good question because a lot of people think I hate it or, like, that you would hate to get booed. And look, there are maybe different reasons why I would like or not like to get booed, but at the end of the day, it shows that people care about what we're doing. And I think that's important in a growing league and a growing sport. As much as I feel like sometimes it's unwarranted, it is what it is. You can hate me, it's ok, it's part of the game. Because of your faith, you don't participate in the singing of the national anthem. What kind of reactions do you get to that? I get a lot of them. And, you know, I'm not baptized. I should put that out there. My mom is Jehovah's Witness and she raised as such, so growing up, I, out of respect for my mother, never partook in the things that she brought us up [to not partake in]. "The Star-Spangled Banner" was one of those things. I get a lot of reactions from it. I think people, for whatever reason, act really negatively towards it. I get a lot of messages from fans. And I know they feel certain ways but I think you have to remember that we're entitled to our right to believe in whatever we want to believe in. I hold that very seriously. People went so far with the Kaepernick stuff. They tried their best to change the narrative. What was he actually protesting for? They never took that [into consideration], they just said he was being disrespectful. That was never his intention, but that was also never the conversation. That's unfortunately the way the world is, when someone like Kaepernick starts to talk about the mistreatment of black kids or sexual harassment, which is what everyone's talking about now. But because of the timing and the political climate and because he's black, it just wasn't met with the same overwhelming support that you're seeing with other conversations that are happening now. They don't talk about [why he's protesting], they just talk about everything in and around it. When it's coming from white, high-profile movie stars, the attention is just, Boom, look at this. But when he started, it got dissected way too much and it took away from what I think he was trying to accomplish. But he still did well, though. And it's not over. It's going to be ongoing. So kudos to him for sticking with it, where other people would've bowed out a long time ago. You have a really young son. Have you thought about how you're going to have these conversations with him as he enters the world as an individual in his own right? A little bit. Sometimes, you have these surreal moments where he's just playing on the floor with a toy and you look at the TV, and you see whatever news is flying across the screen, and you think, Man, how is it gonna be like when he's older? Are these things still gonna be happening? Are we still gonna have these conversations? As a young parent, I'm thinking about that stuff all the time. I want him to grow up in a better America and a better world than I did. But even though the time flies, I hopefully have some time before we have to have these conversations in a serious way. Are you hopeful about that future? I am, yeah. 'Cause I'm a big believer in people. I'm a big believer in the ability to see something bigger and greater than yourself. That's how I operate as a player, too. That's what I always preach to my teammates: "We gotta see something bigger than ourselves. We have to look at the group and think, what can we accomplish?" Even though it looks bleak at times, somewhere down the road, I hope people will start waking up and holding each other accountable. What's it like to be living in a different country as you watch the news coming out of America? You know, it's sad. Any time it's U.S. news, it's always the same narrative. And you think to yourself, the news never likes good news. But it's the same everywhere, things are spiraling a bit — massacres, politics, race. As a country we definitely need to start looking at ourselves. You mentioned your teammates. Something that's obvious from watching you and Michael Bradley, and the rest of the team, is how close you are. How do you maintain a good relationship with people who are your co-workers? I love this question 'cause I tell people this all the time: I may be young, but from what I've experienced in life, whether it be a girlfriend or sports, you just gotta be real. There can't be any secrets or beating around the bush. Be real, say what you feel and how you feel, and that's always the best way forward. That's how you get back a genuine response, nine times out of ten. Trial and error. Just living. It got to the point with [Michael Bradley] where, whether it was the frustration of a season or whatever it was, we just lost it. Thankfully enough, we lost it on each other. He was very vocal in how he felt, I was very vocal, and I think the team grew stronger for it. Are you the OG on the team that people come to for advice? A little bit. They come to Jozy's corner. I got a little place in the locker room, we sit down, get some hot chocolate and talk about life. [Laughs] No, I just try to be a guy that people can talk about whatever, not just soccer. I try to keep myself well versed on everything. Winning a championship is a huge accomplishment. But is the win the best part of the season, or is it the anticipation? Definitely not the anticipation. That's the worst time. Waiting to play this game was the worst thing. I think it's winning — having the dream, and having the visualizations come true, I think that's the best part. I remember being on that float in the parade and thinking, Wow, we did it. Finally. And to do it the way we did, with leaving no doubt and no argument about who the best was, that's the best feeling, too. What was your celebratory meal? I didn't eat much food, I drank a lot. I probably had a lot of late-night grubs, stuff athletes shouldn't be eating. A lot of poutine, burgers, stuff like that. Not the best diet. I did earn it, right? I did. I earned the right to go to Mickey Ds and get a Happy Meal. Because I won a championship, and my team is the greatest.